As big a Beijing. Home to alot of transport operations. Only commercial maglev operation in the world, runs at around 400km/h+ between the city and the airport. Gates to the platform open 30 minutes before the train departs, and closes 5 minutes in advance.So get there early. You can get on the platform with a platform ticket. What some people do is to buy a platform ticket (about 20c), then approach the conductor on board to buy a train ticket for full price. if you are still stuck with a standing / hard seat ticket on the day of your train do not worry! Once on the platform, head for the dining car. Tell the attendant that you want to ‘bu piao’ = make up the ticket to a better one i.e. a sleeper. In my limited experience, they will either do it there and then or wait until the train has left and they can see which births are still empty. Use the above at your own risk!!! The focal point is the cross between lines 1,2 & 8 at Peoples Square. Up to 45,000 people per hour. Lines 1 & 2 are the busiest, about 1 million a day! 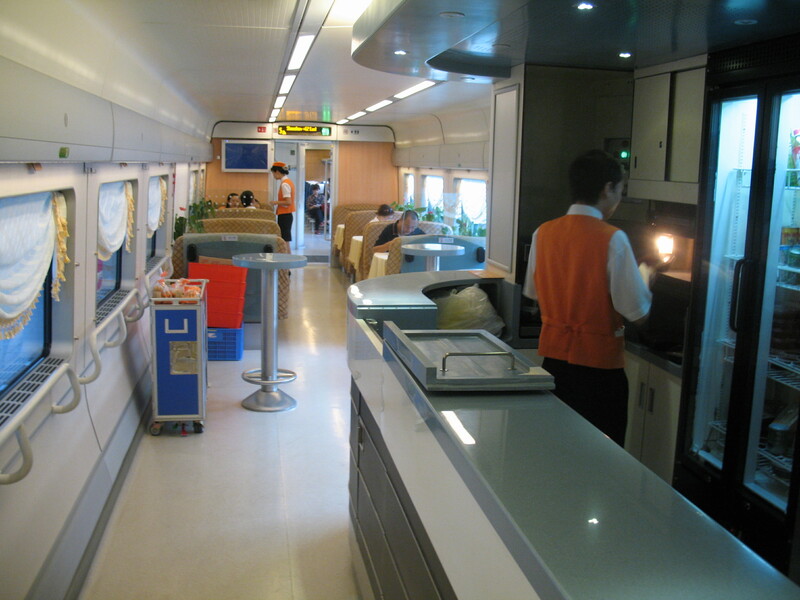 You can classify some standard Chinese trains based on the train types. regular carriage stock hauled by diesel or electric traction. 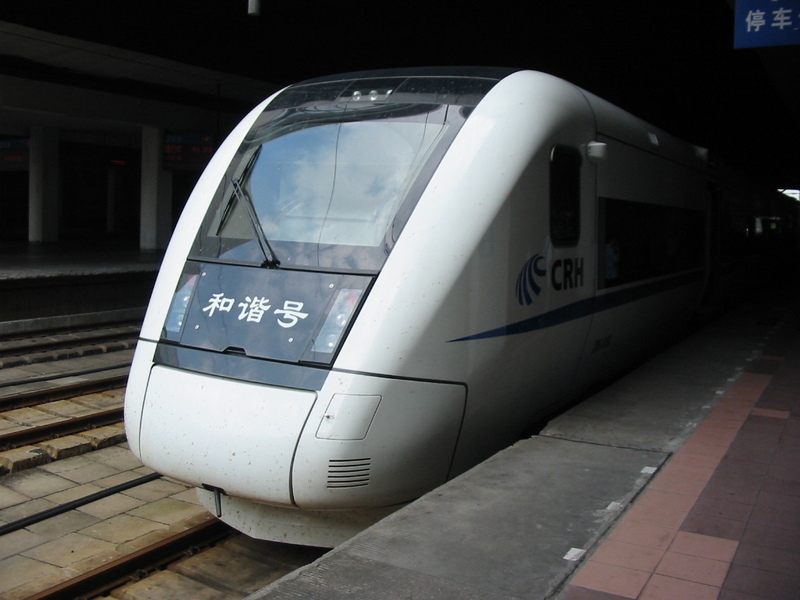 I beleive that the CRH2E is the only high speed EMU sleeper in the world. 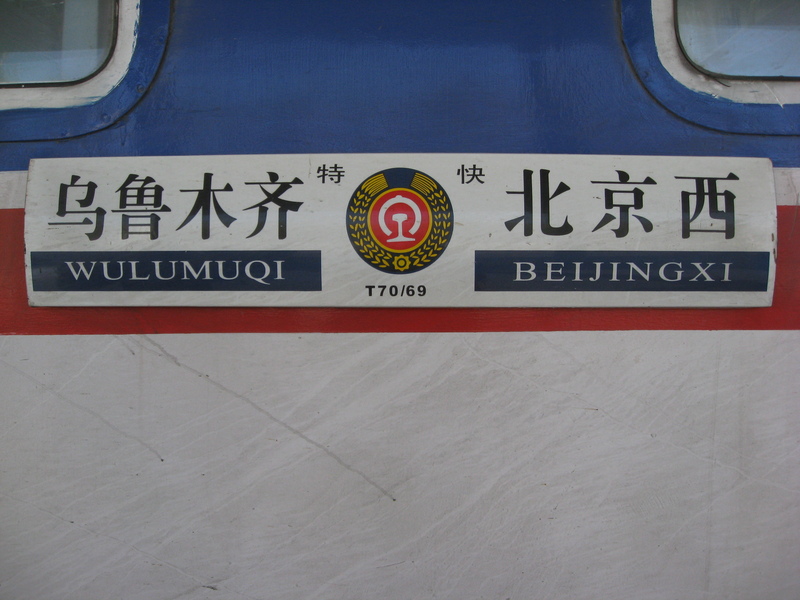 It runs the Beijing-Shanghai route. DMU’s are, obviously, used on non-electrified lines. Given the expansion of the overhead in china, they can only be found in outlying regions with higher traffic or some special areas like the Great Wall of china near Beijing. They are a relatively rare sight. The bulk of CNR is run by your everyday loco hauled passenger trains. The classes or carriage are easy to identify, they are simple sequential numbers. The types generally refer to the speed they travel. Overall design also incorporates the ability to operate in isolation for many days with extra food and diesel. Side note: An original design requirement of the Queensland Rail ‘lander cars was that they could be self sustained for up to 2 weeks should a flood occur. Used predominantly on Z & some T series train. Market is wealthy visitors and western tourists. One night on a RW19Tis roughly AU$180. 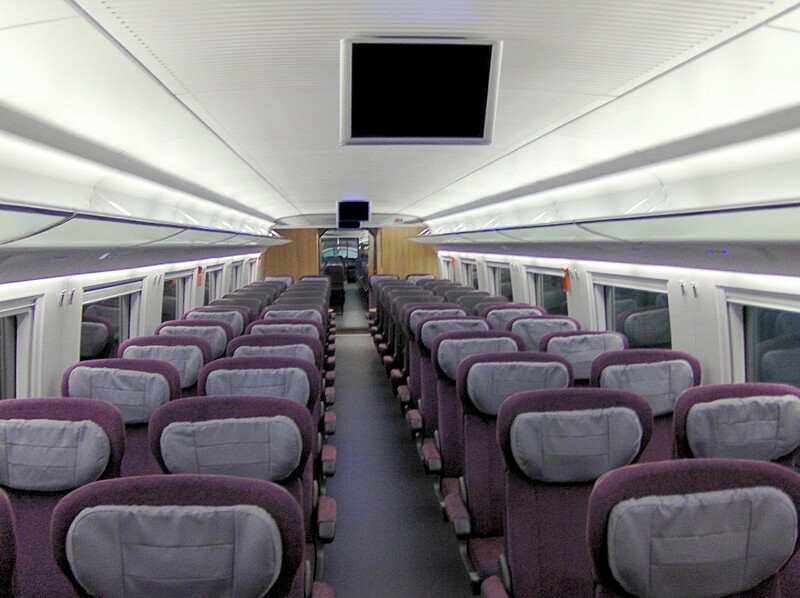 For the majority of travel there are 2 broad classes roughly equivalent to the European 1st and second class. But as it is a communist country with little difference between the middle class most people might place it as “Second” and “Second and a half” class. On the side of all carriages is the identification number. The coach number, a 5-6 digit identifier, reiterating the design model and class. Working on a Jinan rail map. Mapping the direct destinations from Jinan. Joho maps give a good overview, but the detail isnt evident. china-mor also have detailed maps, if a little busy. Jinan is a VERY busy station, it runs a 24 hour operation, its of the main way to shanghai so all night trains from northern china pass through. Of course this would missout entirely on Shanghai. Jinan is 400km into the Beijing-Shanghai railway. 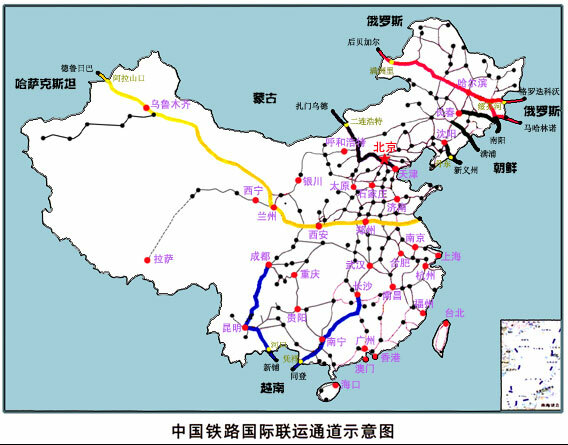 The new dedicated high speed railway should be finished by 2013. 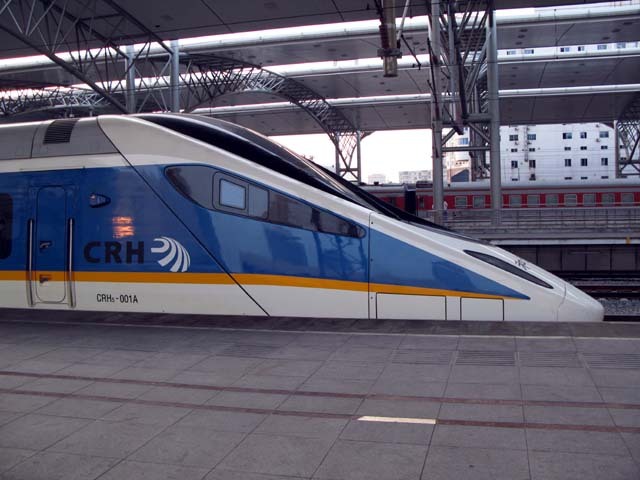 This is also domain of the CRH 2E running the D301/302 & D305/6 services, unfortunately they run non-stop from Beijing. The 2E has a fixed 16 carriage formation. When the VSOE ran again in the 1980’s from London to the Sea they tested the stability of the train by putting a glass of water in the drivers cabin, dont spill it during dinner. To test the CRH2E they used a cigarette. T105 is entirely comprised of YW hard and RW soft sleepers possibly with a CA buffet. Qingdao, full of history and tourism. Its one of the few places to still have Trolley Buses. The railway station has been rebuilt in time for the olympics. The city runs with an extensive network of trolley & ordinary buses. There are future plans to expand the network to include subways. The history of Qingdao is interesting and varied. It was home to Germans during the 19th century and even house the US western pacific headquarters immediately after WW2. The line between Qingdao and Jinan is a mix of freight and passenger lines. Since the introduction of the 200km/h CRH line doesn’t exactly have a segregated passenger route all the way but where upgrades have been made the line can be seen gently curving around smaller towns. 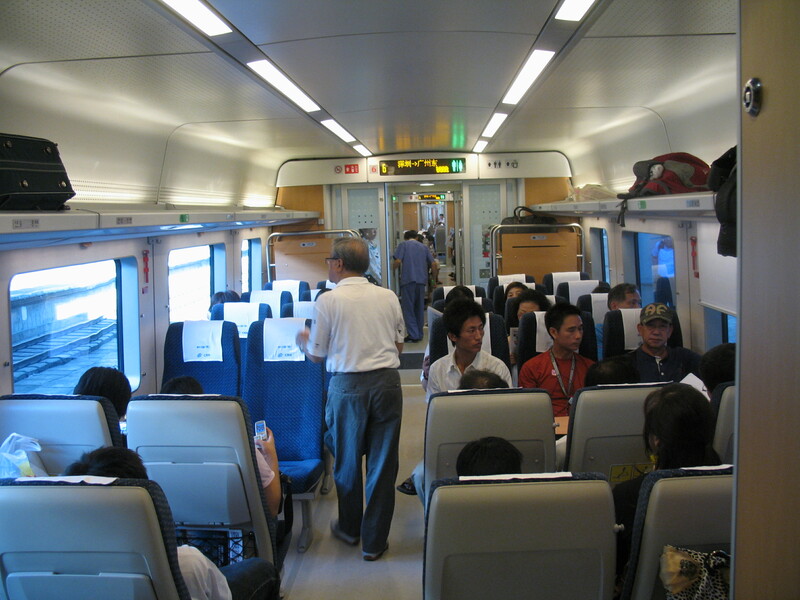 Journey time on a CRH train is in the order of 2h 50m, distance is about 400km. About 12 trains a day make the trip, 6 more go on to Beijing. Jinan station like many chinese stations is quite grand on the inside. The low curve of the roof is interesting, high curves were popular during the steam era, with electric engines roof shape you like. 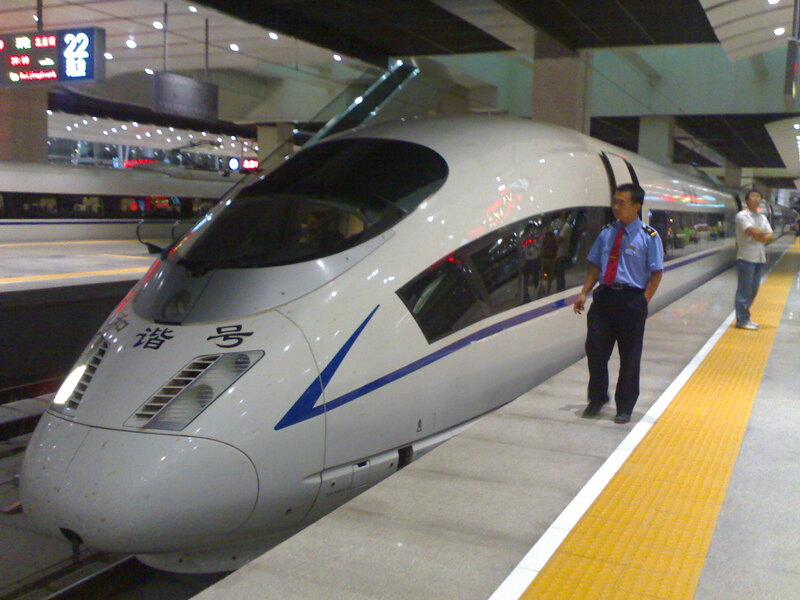 Jinan is the middle of the Beijing – Shanghai, Jinghu railway. 4 parallel lines for most of the way, it is also being upgraded to 300km/h running. If you were to believe everything that the Ministry of Railways says everything is on track for 380km/h trains by 2012, the reality is that the CRH system has been built very rapidly, they have a shortage of rollingstock. The running speed will more likely be around 300km/h and given the cities along the way average speed will be lower again. 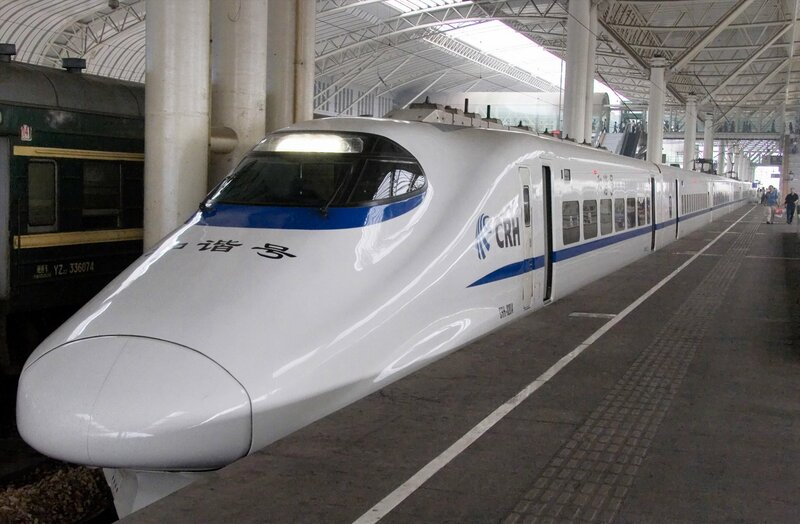 Jinan to Qingdao (Jiaoji Passenger Line) was intended as a 200-250km/h line, running times put it at 150km/h. What they have achieved is amazing, their 15 year plan for the network is something the world can look to as a guide to getting the population mobile. As well as to see China the end goal is to get out again. 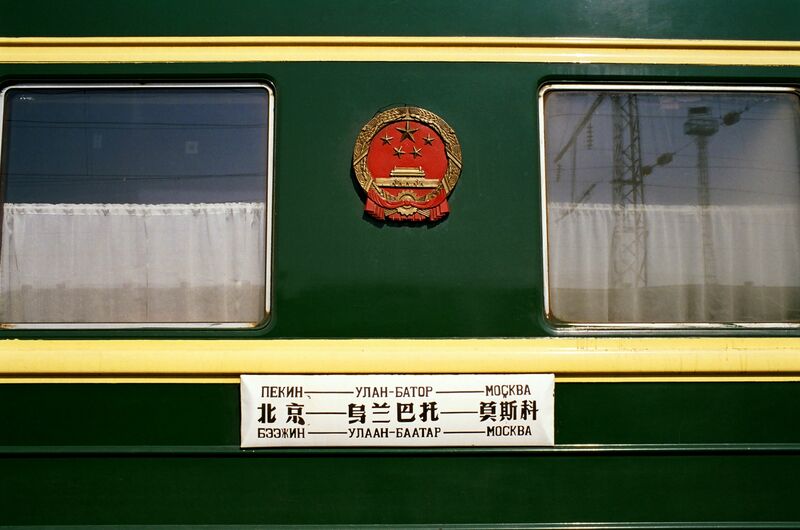 Manzhouli, trans-Manchurian branch of the trans-Siberian, K19/20 or K7023/7024? Of course with the booming development they have planned for just a couple more. And some rumours of links to..
A problem. I want to add some metadata to posts, not just tags. Tags with values like price:$100 or time:5h44m. Ok sure I could use a database but that is overdoing it for my needs and kinds steers the data towards a rigid structure. Rigid is not what I had in mind I want the nice loose thought style like a mind map. Alterately I could use psedo data like a $100 tag and 1h tag. Round the numbers out. Incheon has quite a few international ferry destinations. All sites warn of congestion at the terminals and to arrive 2-3 hours before departure. Most lines have 3 weekly departures. Shortest journey is 12 hours, longest is 25hrs. Almost all are car ferries. Fares range from AUD$100 for basic economy to AUD$360 for a double bed. Weidong company have an english site. Only problem is where to go.